JP climbing Mt. Moran in Teton National Park, WY. "JP" grew up in the highlands of northwest New Jersey. Seeking more adventure and exploration, he went to school at Johnson State College, Vermont. He studied in Outdoor Education, concentrating on Adventure Education & Wilderness Leadership. In addition, JP decided to pursue a degree in Biology with a concentration as a Field Naturalist, so he would be able to describe the natural world to his clients. Through a college course, JP discovered the beautiful and massive amount of mountains that the Sawtooth National Forest had to offer in both skiing and climbing. ​He was able to build on his mountain skills and snow science after interning as a Hut Meister for Sun Valley Trekking, pushing him to gain his Idaho guiding license through the Idaho Outfitters & Guides Licensing Board. In fall of 2019, Sun Valley Trekking sold it's guiding company to Sun Valley Guides. In addition to his winter work, JP expanded guiding in to the summer months with Sawtooth Mountain Guides, leading backpacking trips, day climbing (both single and multi pitch), and alpine climbs along ridges such as Idaho's tallest peak, Mount Borah (12,662'). JP eventually moved out west and settled in Hailey, ID, where he resides with his wife, Michele, and two border collies (Galena and Titus). He likes to spend his free time doing ski traverses, running ultra marathons, and going on climbing trips. JP has been ski guiding for Sun Valley Trekking since 2011 and started guiding rock and alpine climbs with Sawtooth Mountain Guides in 2014. 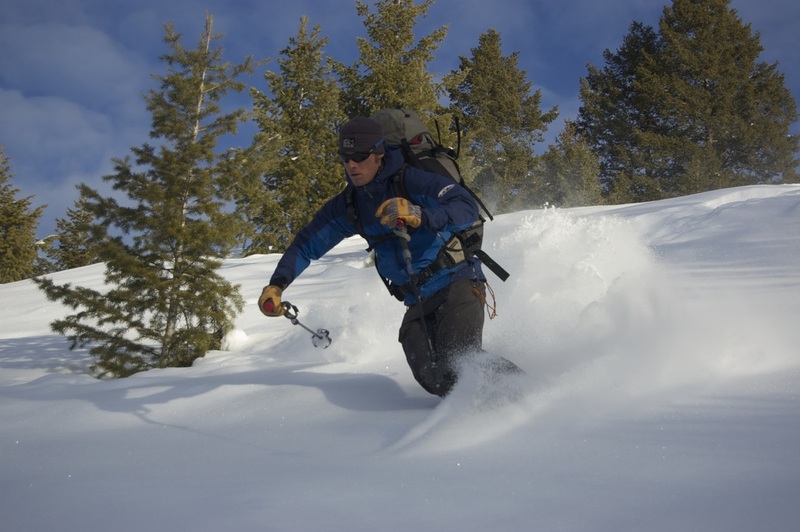 He continues to explore the vast system of terrain in Idaho and is continuing his training through the American Mountain Guides Association to become a certified American Mountain Guide (read more here). JP skiing some low angle powder out Lake Creek in Idaho.